Madrid forward, Cristiano Ronaldo, has been named Portugal’s Player of the Year for 2016. Ronaldo led his country to their first major title at the European Championship last summer. He beat club teammate Pepe and Sporting goalkeeper Rui Patricio to the prize. The 32-year-old forward also led Real Madrid to their 11th Champions League triumph last May, converting the winning penalty to secure the title ahead of Atletico Madrid. 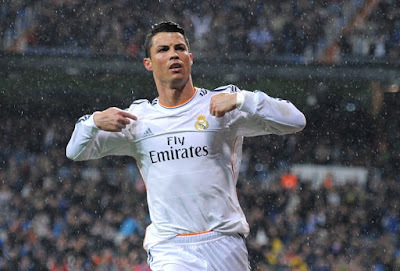 He also finished as the competition’s top scorer with 16 goals. Ronaldo sustained early injury in the Euro 2016 final against hosts France, but Portugal pushed on to win the game in extra-time, marking the national team’s greatest-ever triumph at the Stade de France last July. Ronaldo said at the Quinas de Ouro gala on Monday, “It was a very special year for me because the Euros was the only trophy I was still missing. Other award-winners on the night included Bayern Munich midfielder Renato Sanches, who won the best young player award. National team manager, Fernando Santos was named coach of the year.